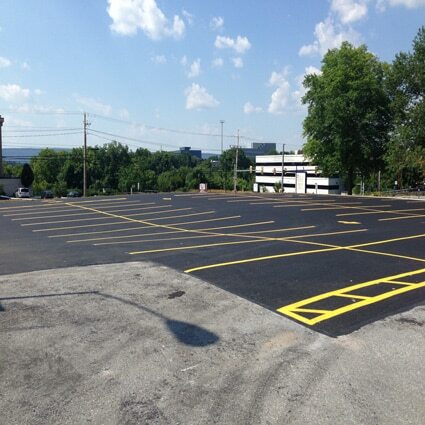 Our customer, Holy Spirit Hospital at 503 N 21st St, Camp Hill, PA 17011, was in need of a new asphalt paved parking lot as part of commercial paving. We re-paved the parking lot and installed new lines for the individual parking spots. They are those that will typically offer the pricing for the roles required in the outline of a bid. The one that’s offered the work is often very cheap bidder however not continuously. Once operating in commercial jobs, the contractor can report back to the development manager or general contractor rather than the owner. One in all the roles a paving contractor will is pour parking lots, walkways, and floors in new developments. If it’s a municipal project they will repair any damage in an existing paying like cracks or potholes or lay new sidewalks, or roads.